The	Department	of	Information	and	e-Government	for	the	Government	of	Sharjah,	introduced	its	e-Government	portal,	to	offer	information	on	Sharjah	e-Government	and	its	proposed	eServices. The	new	services	portal	will	enable	Sharjah's	citizens,	businesses,	and	government	bodies	to	interact	with	government	agencies	24	hours	a	day,	7	days	a	week. The	portal	will	also	offer	rich	informational	content	to	individuals	(citizens,	expats,	and	visitors)	and	businesses	operating	within	the	emirate	of	Sharjah	regarding	the	activities,	service	offerings,	and	major	events	of	the	various	Sharjah	Government	departments. Key value: Enabled Sharjah	e-Government	to	have	a	multi-lingual	portal	to	showcase	all	their	services	and	information	for	the	public. Sharjah	e-Government	wanted	to	have	a	multilingual,	user-friendly,	and	responsive portal	that	can	provide	complete	information	about	Sharjah	Emirate	for	the	public. 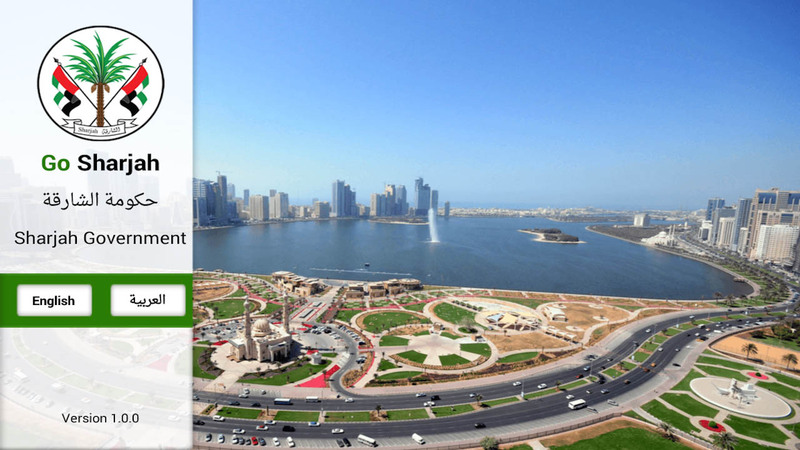 Neologix	created	an	integrated	portal for	Sharjah to	showcase	information	about	the	Emirate. The	platform	was	designed	to	create	a	responsive,	and	user-friendly	website	with	easy	navigation	and	accessibility	on	all mobile	device	be	it	iPhone,	iPad,	Tablet,	Android	or	Windows	platform. The	Department	of	Information	and	e-Government	for	the	Government	of	Sharjah,	introduced	its	e-Government	portal,	to	offer	information	on	Sharjah	e-Government	and	its	proposed	eServices. The	new	services	portal	will	enable	Sharjah's	citizens,	businesses,	and	government	bodies	to	interact	with	government	agencies	24	hours	a	day,	7	days	a	week. The	portal	will	also	offer	rich	informational	content	to	individuals	(citizens,	expats,	and	visitors)	and	businesses	operating	within	the	emirate	of	Sharjah	regarding	the	activities,	service	offerings,	and major	events	of	the	various	Sharjah	Government	departments. 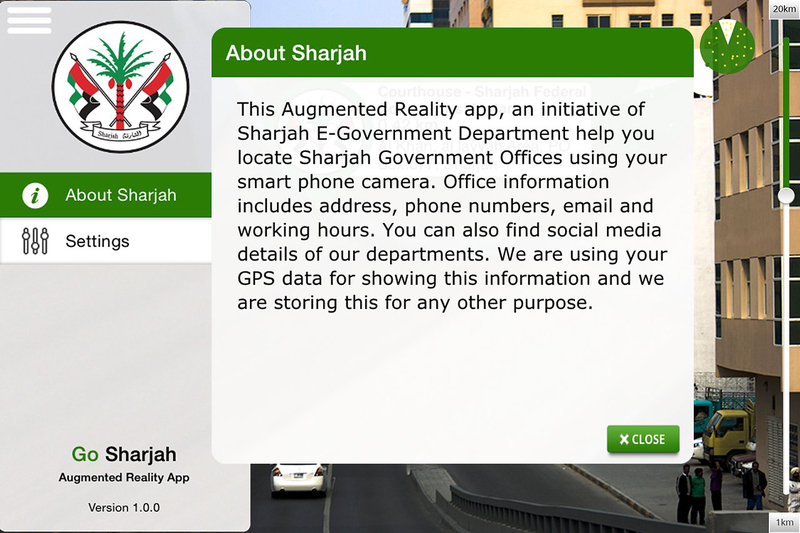 Sharjah	eGoverment	department	initiated	to	have	an	application	that	can	help	the	public	to	locate	government	offices	and	provide	basic	information	about	them	using	their	mobile	devices. The	application	was	to	use	Augmented	Reality	to	enable user-friendliness. 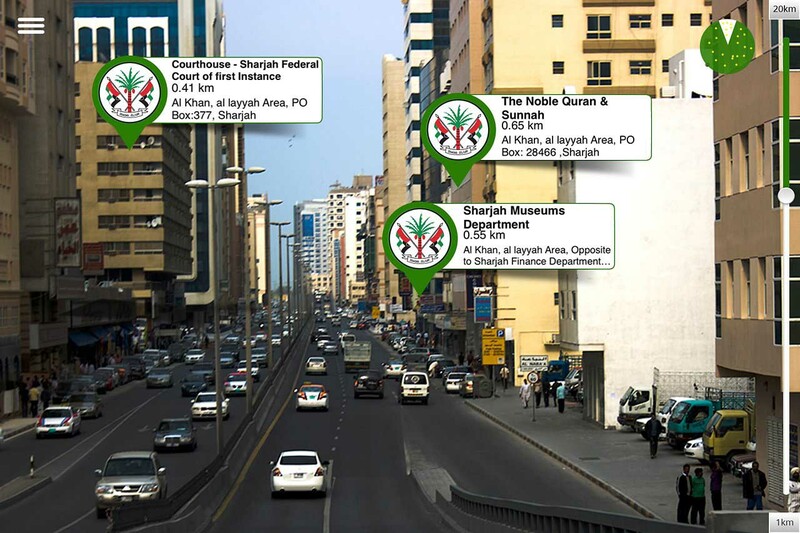 Neologix	created	an	advanced	application	using	Augmented	Reality	that	will	enable	the	public	to	locate	Sharjah	Government	Offices	using	their	smart	phone	cameras. The	public	get	to	locate	the	respective	offices	in	the	respective	floors	of	the	buildings	within a	1-2	km	range. They	get	to	access	basic	information	including	address,	phone	numbers,	emails,	and	working	hours. The	application	uses	GPS	alone	and	does	not	have	any	access	to	personal	data. Works	on	iPhone	and	Android	platforms. The	public	gets	to	locate	the	respective	offices	in	the	respective	floors	of	the	buildings	within	a	1-2	km	range.